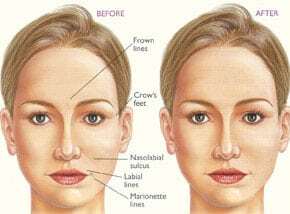 These injections are taken for treating static wrinkles. They are also used for filling uneven or depressed facial areas. Some of the fillers include Restylane, JUVEDERM, collagen, Perlane, Sculptra, etc. Some of them can yield everlasting effects. However, they are not so popular. Others like Restylane, JUVEDERM, etc., are based on hyaluronidase. When they are injected, the effect can last for about 5 to 6 months. Hyaluronidase-based compounds mostly constitute temporary fillers. These molecules are usually found in the body. The substances can rarely cause allergic reactions. The fillers give instant results.